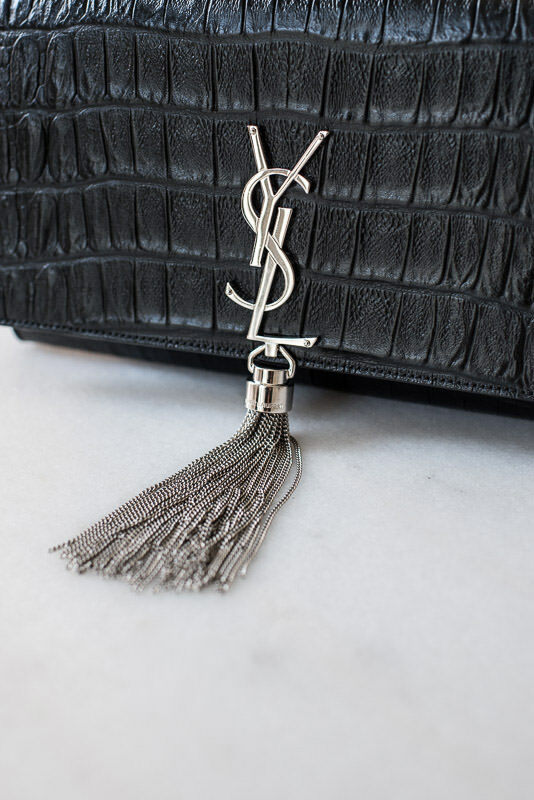 By now, many of you have read about the lengthy endeavor that lead to me treating myself to this Saint Laurent Monogramme Bag. As promised, I’ve used my bag plenty of times since it finally arrived to give you an accurate look at what fits inside. 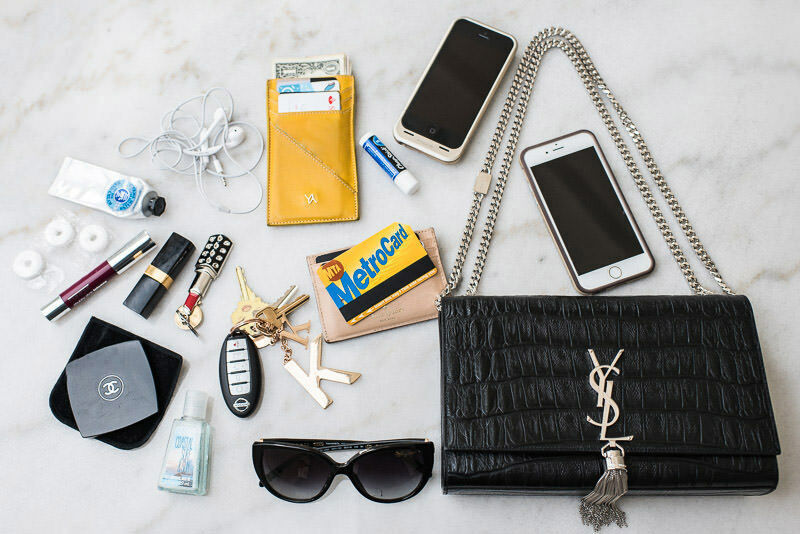 Spoiler alert: I carry a lot of stuff–anyone in the office will tell you that I’m a walking Duane Reade. Personally, I hate bags that look stuffed full from the outside. I’m happy to report that, even after fitting 15 items in my bag, you’d never know it was full from simply looking at it. Even so, my bag wasn’t overly stuffed, and it’s easy to get things in and out when I need them. In the short amount of time I’ve had this bag, I’ve taken it to work, a vacation in the Poconos, nights out in Atlantic City, family parties and out shopping, and I’ve never felt the need to complain about its functionality or size. It fits everything I need at any given time, and when you buy a bag, isn’t that what matters most? 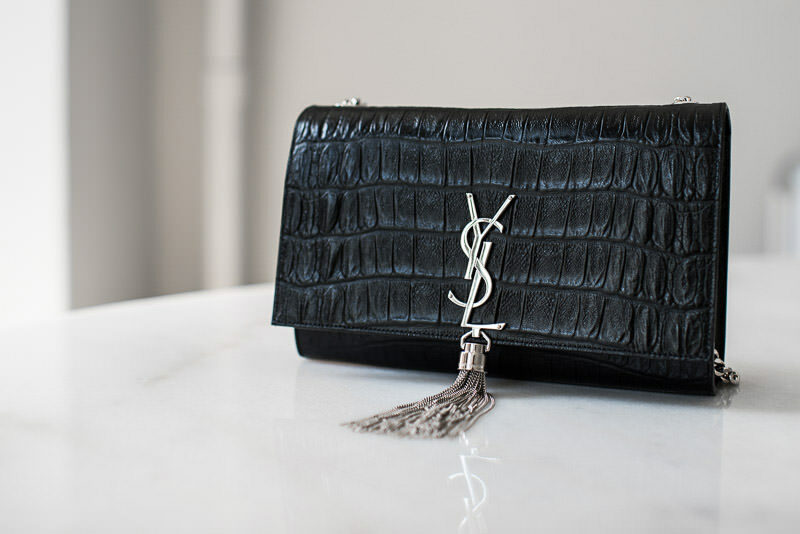 This bag is no longer available in this exact version, but you can pick up the same size in gold embossed python for $2,290 or tan suede for $2,190, both via mytheresa.com.